Here at First Choice we can give you helpful and professional advice about which type of Central Heating System and Boiler will suit your needs. As CORGI/Gas Safe registered installers we can identity your exact heating requirements and the best possible solution. We can give you helpful professional advice on boilers, hot water systems and systems maintenance. First Choice cover Bournemouth, New Milton, Ringwood, Hampshire and the surrounding areas. Want To Get Some Professional Advice About The Types Of Central Heating And Boilers That Will Suit Your Needs Then Get In Touch Today! Predominantly in rural parts of the UK, liquid petroleum gas (LPG) can provide an alternative energy source to natural gas and heating oil. LPG is most often used where there is no access to piped natural gas. LPG is a specialist qualification that has to be obtained in conjunction with gas safe qualifications which we hold. 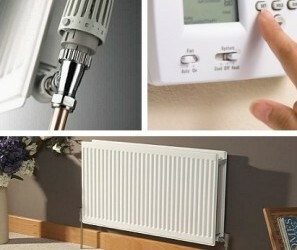 We can supply, service and install LPG boilers to suit your central heating systems and also install cooking appliances.